I’ve been meaning to take photos of Classic Kidz Luisa by Gotz for a while now, as she was my favourite last year. This year her outfit is very different and I wanted to show you the detail. Last year her outfit was pink and pretty using high quality taffeta. This year the look is much more casual but the same amount of attention has gone into the design of the outfit and the fabrics used. I say casual, but the outfit is very smart too because of all the little details included. 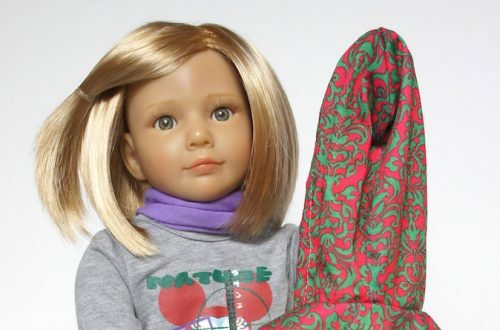 Luisa was designed by world renowned doll artist Hildegard Gunzel, as is her outfit. 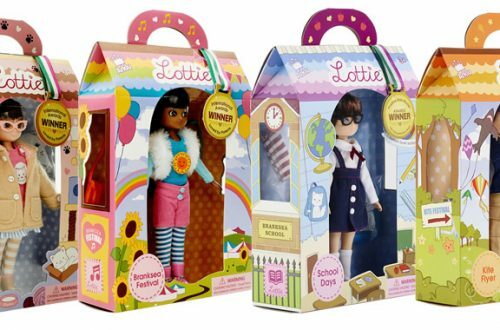 This is what gives Luisa the higher price tag compared to the Gotz Happy Kidz dolls which have the same body but more easily produced clothing. 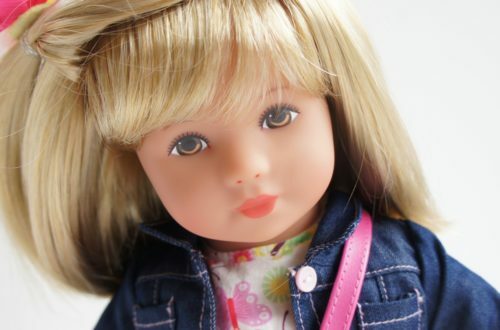 As before, Luisa has blonde rooted hair and brown fixed eyes with delicate eyelashes on the top eyelid. I love this face mould as it is so childlike with healthy pink cheeks and coral coloured lips. 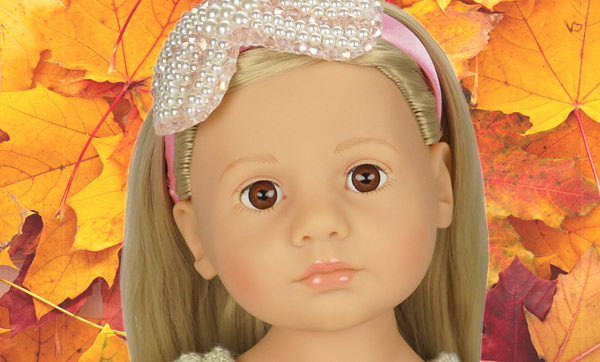 Her blonde hair really suits the pink satin hairband with a very large beaded bow attached which looks gorgeous. Her jacket is beautifully made with thick cream fabric with a good. What i love is the added sparkle of glittery gold buttons and the ties. The jumper beneath is also slightly golden and is very on trend with a scoop neck and a lower hem at the back. Her jeans are roomy too and nicely made, and I love how they have been teamed with a pair of woolly socks and sparkly blue shoes. This article was first posted on the Petalina blog in 2016 and Classic Kidz Luisa has been discontinued. In fact Gotz have chosen to only produce this face mould for dolls with red hair. Please Gotz make Luisa again. You can see the current range of Gotz Happy Kidz, which have the same body as the Classic Kidz at Un Bonheur de Collibri, KR Bears and Dolls and Amazon.